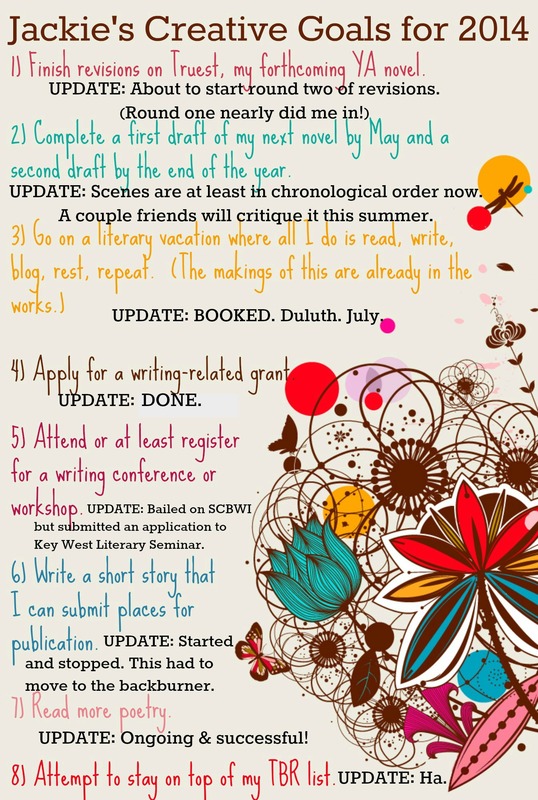 This entry was posted in creativity, dear diary, reading, real life, writing, YA and tagged creative goals update, jackie lea sommers creative goals 2014 update, jackie lea sommers creative goals for 2014 by Jackie Lea Sommers. Bookmark the permalink. Whoa. I am in awe. Congratulations on all this progress! Thanks Alison! It’s been a full, exhausting, fulfilling year thus far. Hope your querying is going well, friend! Good for you, Jackie! Great updates! Wow, Jackie, lots of progress! I so admire your self-discipline and work ethic.